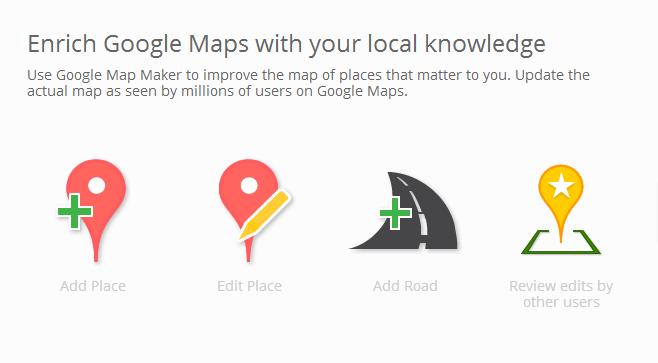 Since last Thursday Google’s excellent Map Maker has been made available for UK users. Map Maker allows users to edit Google maps directly – fixing mistakes, adding places and editing places. These are then reviewed by Google or other Map Maker users, and once they are confirmed they become a feature of Google Maps. To help keep up-to-date with the latest revisions to Google maps, allowing you to accept changes of areas you know the best, you can set up neighborhoods. These are selected regions of the map that you would like to be notified (at your selected intervals) about when changes are made. These changes should really enhance Google Maps adding a further level of detail.